A summary of the Pack sizes and Storage conditions for all Antifadent products may be downloaded as a PDF. This well-established product, has an anti-bleaching (anti-fadent) contained in glycerol- PBS (phosphate-buffered saline) solution and was specifically designed to alleviate the PHOTOBLEACHING of antibodies labelled with FITC (1-4). 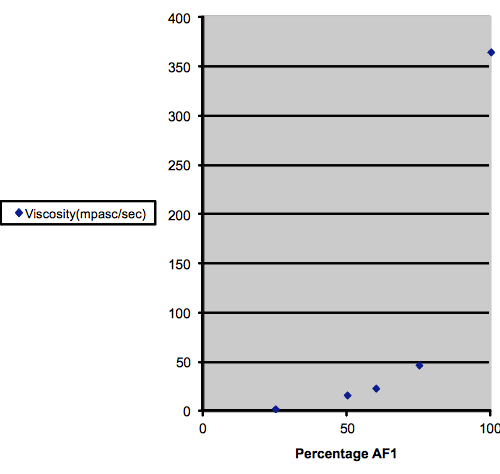 AF1 example – Click to see full size image with data. AF1 is useful for many other fluorochromes such as DAPI (1,4,5-10), rhodamines (11-17), Hoechst (11,18-24), Alexa (9,12, 25-29) and cyanine (Cy-3 and Cy-5) (30-37) dyes, Texas Red(4, 38-42)), phycoerythrins (43-48) and Green Fluorescent Protein(GFP)(7,26,39,41, 49-54). It is ideal for examining tissue sections and dead cells. 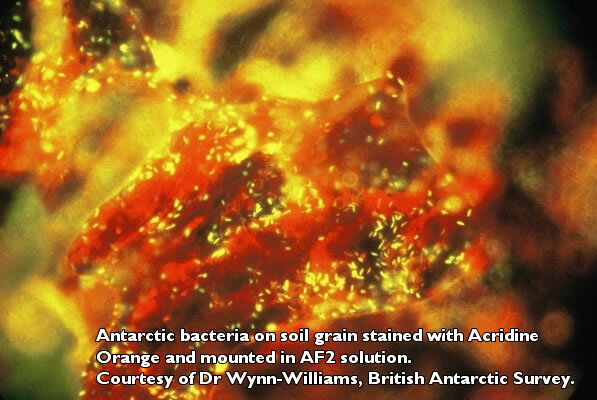 In addition, it has been found useful for stabilising the AUTOFLUORESCENCE (46, 55-57) of species such as cyanobacteria. 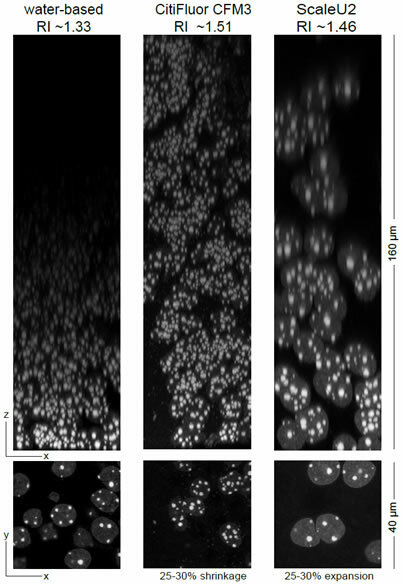 AF1 solutions have been employed where the techniques of fluorescence hybridisation (FISH)(5-7,9,11,17,23,28,34-37,58-60, 62-66) including CARD-FISH (63-65) and confocal laser scanning microscopy (CLSM)(1,2,29,30,36,39,50,52,54, 67,68 69)are being used. If the viscosity of the AF1 solution is too high for your purposes, it may be admixed with AF3 mountant (a PBS solution of the same antifadent as is present in AF1 ) solution. 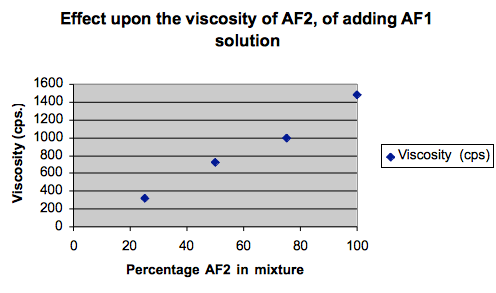 As the amount of AF 3 solution is increased so the viscosity decreases. AF1 can be used to make up a hardening mountant. To a poly(vinyl alcohol) e.g. Airvol 203(Air products) or Mowiol 4-88 (Calbiochem) solution (20% in water) add ~20% by volume of AF1. This solution is best used soon after it is prepared as it doesn’t have a long shelf-life. 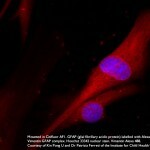 This is a new addition to the range of Citifluor products and is composed of an AF1 mountant solution to which DAPI has been added at a concentration of 2μg per ml. 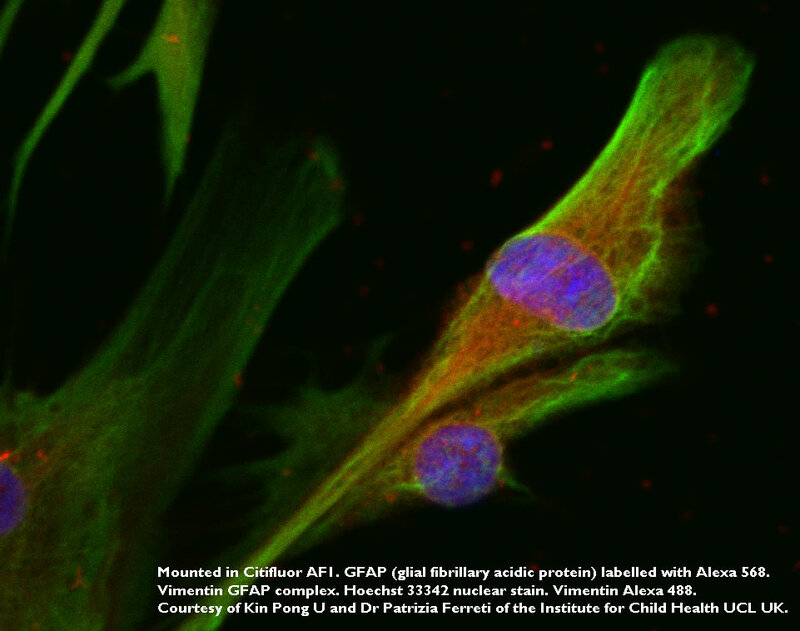 If a lower concentration of DAPI is required, dilution should be carried out by adding a further quantity of AF1 solution. The solution will be of value to those using the FISH technique. AF2 is a mountant solution composed of glycerol and an antifadent and is optically transparent from 300nm into the 750nm. It was specifically designed to stop the photobleaching of the fluorescein moiety of FITC(70-73) labelled biological specimens. Its application is not however limited to FITC labelled materials and has been used with advantage with many other fluorochromes including rhodamines (71), DAPI (71,73, 74-78) and GFP (74, 80-82). It is ideal for examining tissue sections and dead cells. An aqueous solution (75%AF2 to 25% water v/v) has a pH of ~10. 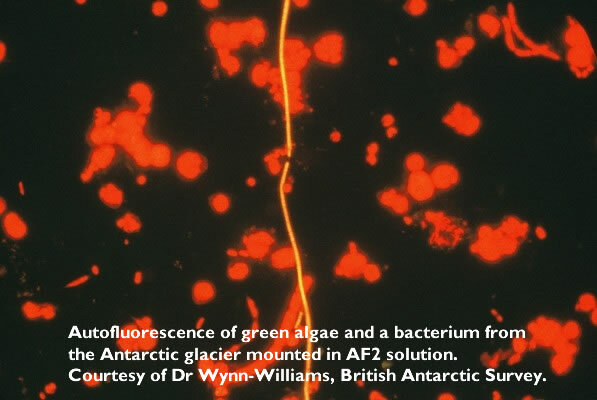 AF2 solutions have been employed where the techniques of fluorescence in situ hybridisation (FISH)(73, 76, 77,79, 83), and confocal laser scanning microscopy (CLSM) (70,71, 73, 75, 79) are being used. The AF2 mountant solution should be pipetted (15 to 25 μl) onto the specimen and then a cover slip applied. If the slides are stored in a refrigerator, the viscosity of the mountant solution increases thereby helping too keep the cover slip in place. There is no need to seal the cover slip with nail varnish. Specimens mounted in AF2 solutions have been kept in this way for many months without loss of fluorescence intensity. 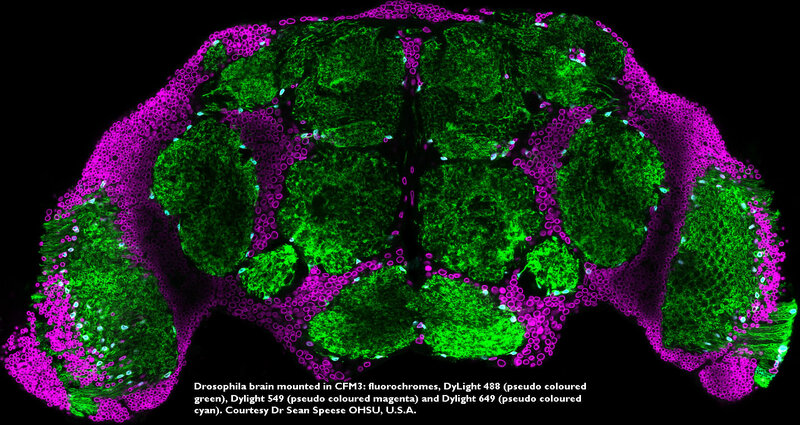 Its application is not however limited to DAPI labelled materials and has been used with advantage with many other fluorochromes including fluorosceins, Alexa and Hoechst dyes and rhodamines. It is ideal for examining tissue sections and dead cells. The solution should be pipetted (15 to 25 μl) onto the specimen and then a cover slip applied. If the slides are stored in a refrigerator, the viscosity of the mountant solution increases thereby helping too keep the cover slip in place. There is no need to seal the cover slip with nail varnish. The CFM range of mountant solutions should only be used with samples that have been fixed (4% paraformaldehyde in phosphate buffered saline for 30 minutes). The crosslinking (fixing) of the sample prevents non-covalently bonded fluorochromes e.g. DAPI, Hoechst dyes, from becoming detached from the specimen etc. If some bleeding of the dye(s) is still observed a further fixation with paraformaldehyde should be carried out.. For sealing the coverslips, when CFM mountant solutions are used, the product CoverGrip® marketed by Bioutium has been recommended (We are grateful to Dr Sean Speese, Jungers Center for Neuroscience, Oregon, U.S.A.for these many helpful suggestions). Click on image above to see full size. 3D rendering of nuclei stained for LamDm0 in Drosophila tissue, mounted in CFM3 +antifade, imaged via confocal microscopy. Notice the staining intensity is consistent throughout the entire 55um stack with no increase in spherical aberration. 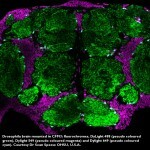 63×1.4 NA PlanApo / 1 Airy / Nyquist sampling xyz / Zeiss LSM 710 Genetically expressed GFP-tagged nuclear protein in brain slice. This glycerol-phosphate buffered saline based solution has been specially formulated so as to have a refractive index of ~ 1.52 (at room temperature). This glycerol-phosphate buffered saline based mountant solution has been specially formulated so as to have a refractive index of ~ 1.52 (at room temperature) and contains an antifadent to retard the bleaching of fluorochromes. This glycerol-tris-amine buffered mountant solution, has been specially formulated so as to have a refractive index of ~ 1.52 (at room temperature). It has a pH of ~ 8.5 which is appropriate for fluorescein conjugates. CFMR2 – A high refractive index mountant especially designed for samples labelled with GFP. 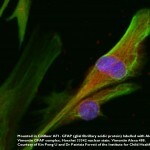 The CitifluorTM CFM series have proved very useful for imaging materials using CLSM. 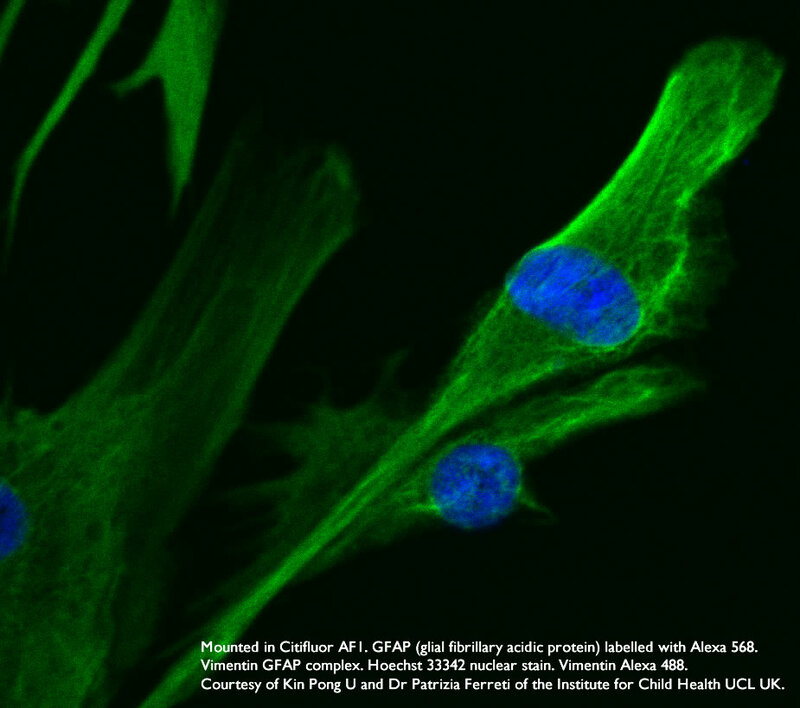 Samples labelled with GFP pose a special problem since the retention of a good image during imaging and upon storage is dependent upon the mountant solution containing oxygen. The classical antifadents consume oxygen when the fluorochromes are irradiated and in the case of GFP this accelerates the loss of the image. As with the other CitifluorTM CFM solutions the mountant has a similar refractive index to the biological tissue and hence enables a good depth of viewing within the sample. CFM3 example – Click to see full size image with data. This glycerol based mountant solution has been specially formulated so as to have a refractive index of ~ 1.52 (at room temperature) and contains a phenolic type antifadent to retard the bleaching of fluorochromes. The solution is of medium viscosity, is water-white in appearance and has a pH of ~6.5. The cap of the bottle should always be replaced after to use to prevent the ingress of moisture which will lower the refractive index. Solutions should be stored at temperatures between 20 and 22oC. 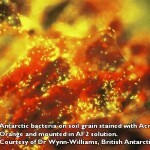 If stored at lower temperatures, crystals may appear in the solution. Warming the solution to between 25 and 28oC will bring about dissolution. This well-established product was specifically designed to alleviate the PHOTOBLEACHING of specimens labelled with FITC (86,87). 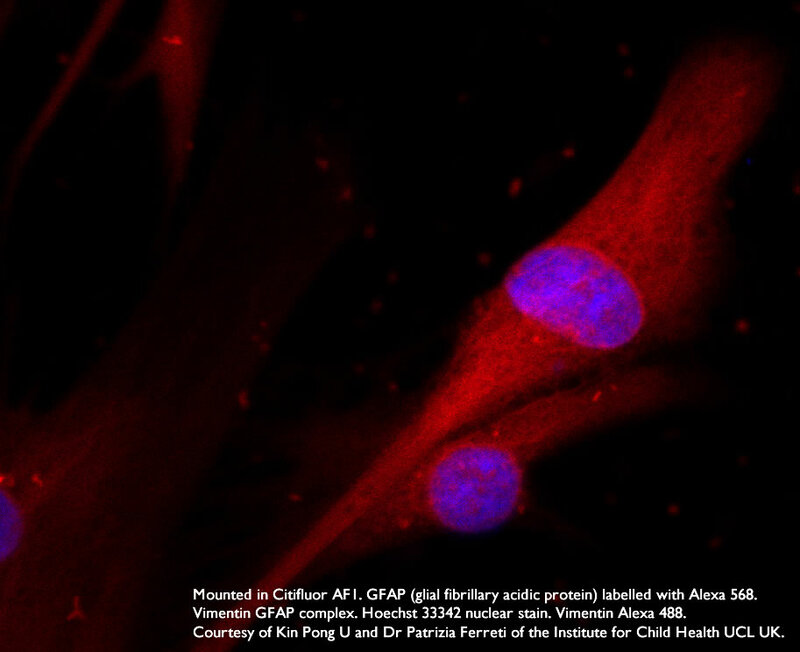 AF3 is useful for reducing the photobleaching of many other fluorochromes such as DAPI (88-93), rhodamines (94) and Alexa dyes (88, 91,95). 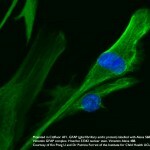 It has been found useful for examining live cells although it should be noted that the antifadent may lead to cell lysis. 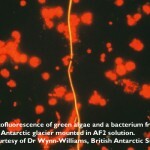 AF3 solutions have been employed where the techniques of fluorescence in situ hybridisation (FISH) (86,88,89,90,97) and confocal laser scanning microscopy (CLSM)(88,89,90,91,93) are being used. The low refractive index of AF3 makes it ideal for use with the recently introduced technique of Total Internal Reflectance Spectroscopy (TIRF), where a large difference in refractive index between glass and the mounting medium is required (98,99). The solution should be pipetted (15 to 25 μl) onto the specimen and then a cover slip applied. The CFPVOH is an aqueous solution of poly(vinyl alcohol) and the AF100 is a phosphate-buffered saline solution of an antifadent. his product is an immersion oil of low fluorescence that contains an antifadent. It is immiscible with water, is of medium viscosity and has a refractive index of ~1.52 at room temperature (20°C ). This high refractive index makes it ideal for when specimens are being examined by confocal laser scanning microscopy (CLSM)(100). For use as a mountant, it is necessary to dry (dehydrate) the specimen before applying the AF 87. Dehydration may be carried out by washing the specimen with ethanol, followed by drying in air (101, 102). AF87 has been found useful for examining specimens generated using the technique of FISH, labelled with the fluorochromes DAPI (103-105) and Cy dyes (101, 103). Bottles of AF87 should be stored at room temperature with temperatures of 50C or lower being avoided since the low temperature may cause the development of a sediment in the bottle and a reduced antifadent performance.